SHTF Survival Guide | Survival Book with Detailed Illustrations | Water, Fire, Shelter & First Aid | BUDK.com - Knives & Swords At The Lowest Prices! It is vitally important to possess knowledge of basic survival skills because the future is never guaranteed and anything can happen! 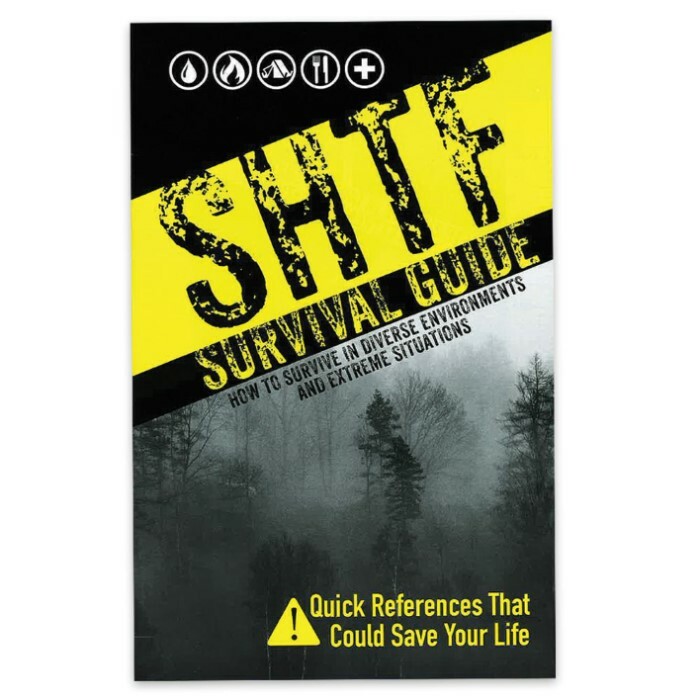 The knowledge that has been compiled in our SHTF Survival Guide covers the most basic steps of survival that are needed when an individual finds himself in a life or death situation. 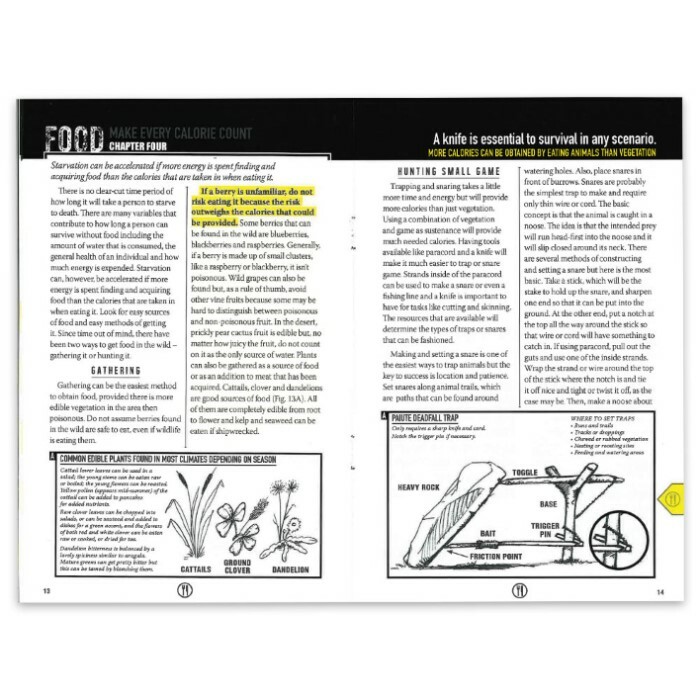 The guide is divided into yellow-tabbed chapters that cover the basic necessities: Water, Fire, Shelter and Food. Then, a chapter on First Aid is included to complete the guide. 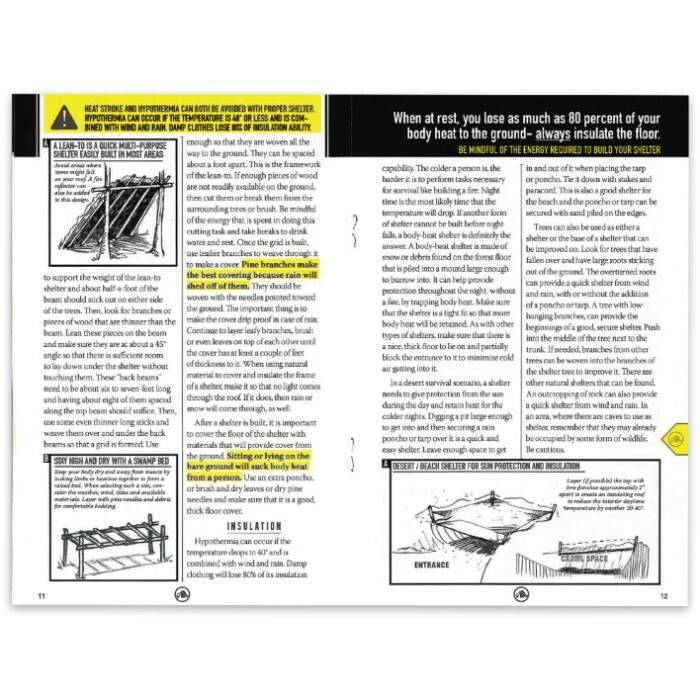 The 22-page guide features detailed illustrations, instructions and important tips. The SHTF Survival Guide is a must-have for your bug-out bag, camping gear or vehicle. Just got this and read through it. Some info in here,could have been more in depth. ALSO, pages did NOT have any protective coating on them, if they get wet, pamphlet would be ruined. Pretty basic info, some good.